About SHABAD CHAND : Commercial Airline pilot, Certified APPI paragliding pilot. I have always had a deep reverence for the Sky. There is some comfort (a great measure, actually) in its presence, magnificence , its size. Amongst many other intimate sentiments and personal thoughts , the Sky- its size, to me, is a tangible explanation of Power and Freedom, in cohesion. A Saint, A Guardian, A parent ; Testament, that it’s all okay and, Let Go . The Sky just has a way of making it easier. I have for as long as I can remember (and been around! )been fascinated by aircraft, Winged Birds, ..Wings. In fact, it’s been a story of a dream that walked along with the dreamer. Being there on a wing , in that seat – the same pulse through me as through my aircraft..Being! It has also been the greatest honour and privilege of my life . Attempting to articulate it, would be futile and an epic failure. So to say the least, it’s like coming home or knowing where you come from. So a few years ago, through the grand scheme of things or mere coincidence, I showed up at TemplePilots. And happened to meet this most amazing family , the team of TemplePilots. I was so looking forward to unpowered flight (without the aid of an engine or power source, it is in every other sense very powerful!) . Remembering that feeling of getting airborne, with nothing between you and the wind and the sky always makes me smile. Truth be told , it was a lot more than just basics of paragliding 1-oh-1 . 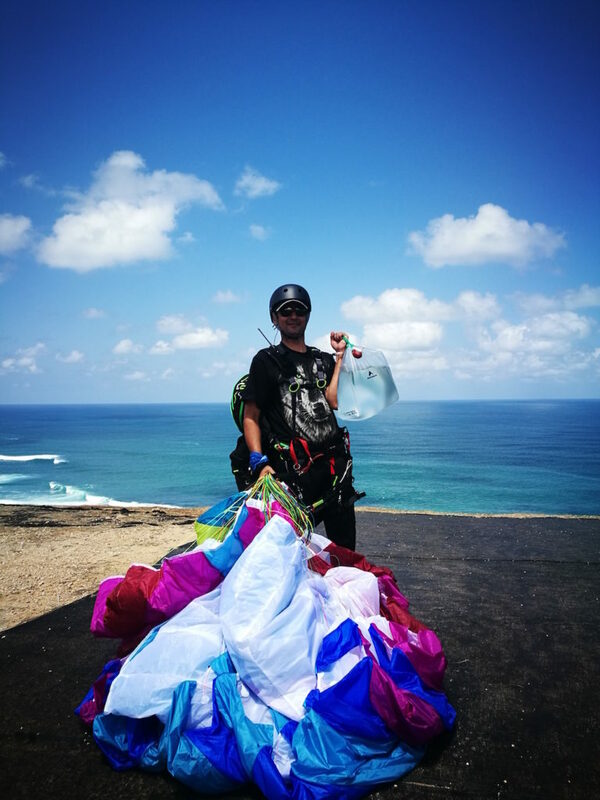 It was being welcomed to and witnessing a group of passionate aviators, with love and respect for the sport- its inherent nature , a very personalised , friendly yet extremely methodical approach to the art of paragliding. The friendly banter, the yum grub. The whole beautiful energy of the TP home ..it’s like “Chicken Soup for the Soul”. From then on , the team most patiently and encouragingly has been nurturing my attempt to learn to paraglide . After a spell of being irregular, I got airborne again earlier this year. This culminated into joining TemplePilots in Bali for the Advanced Coastal Clinic. Credit goes to the TP Instructors for their advice and encouragement. I recollect being told that it would do good to my skill building and the scenery is something else! Upon getting to Bali, I found that this was so true on both accounts ! 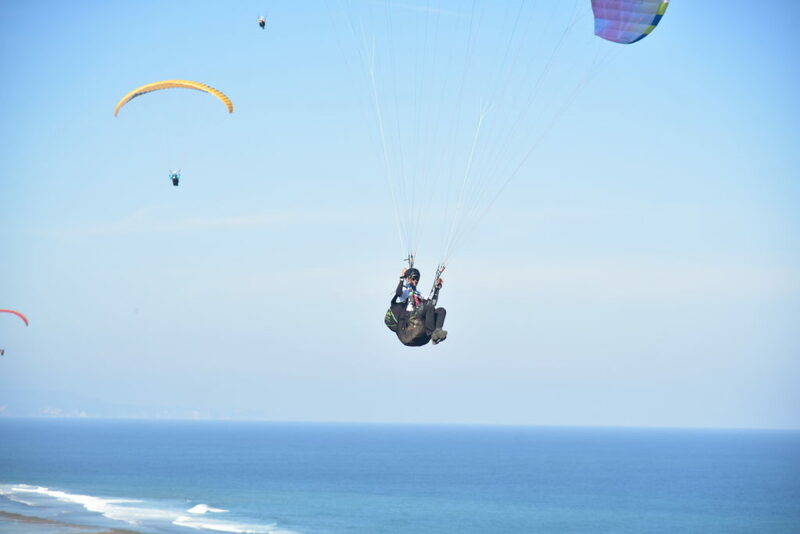 Flying in Bali is a hugely satisfying experience for any student of paragliding. The scenery is serenading , it is astounding!! 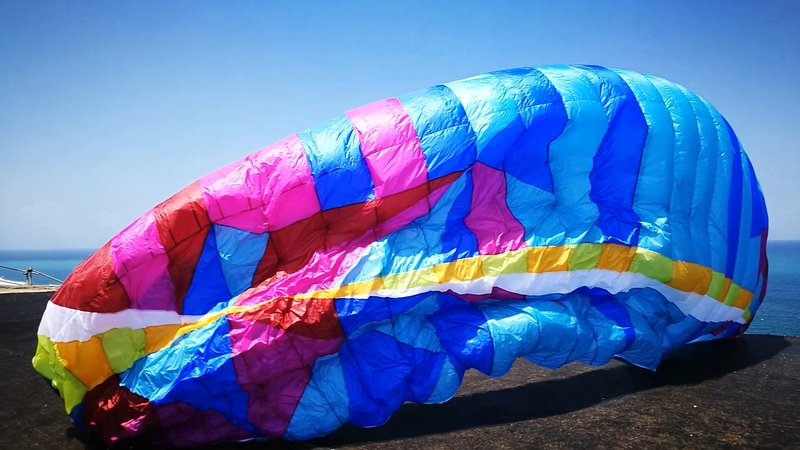 The air time is exhilarating-does good to build confidence and comfort, the volume of traffic is a huge shift of the safe confines of flying in Kamshet and is quite challenging. The topography and meteorology is new and an appreciation of these elements ensues . All this under the ever watchful eyes of the Instructors. Also , plenty opportunity to practice airworks / manoeuvres, or “let’s do some stuff” as the instructors would say. Beach landings and Top Landings were great learning. All the flying followed by debriefing sessions of encouragement and constructive criticism . And the icing on the cake, the lovely evenings spent over dinner with the Flying Bunch in lovely venues, thanks to Anita. 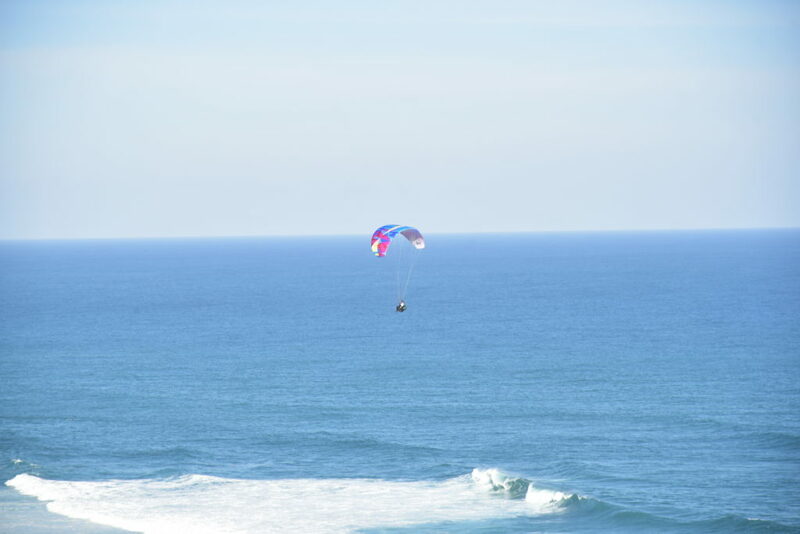 My most memorable Bali flying moment was flying on the right ridge . Ritu Ma’am and I were flying in symmetry. Then Avi joined up and now there were just three purple gliders in that part of the sky. At times we were all staggered, at times in formation – flying near parallel , other times we were 3 gliders in what would appear as synchronised turns. It was beautiful. I will remember that fondly for a long time. Bali Bliss- the times in the air and on the ground , all of it , is joyous and memorable because of the TemplePilots Team. It is no small feat either. The meticulous behind the scenes work , the ensuring safety of those flying, the morale, the camaraderie, and the logistics is extraordinary. The easy atmosphere, in fact was a lot of care and arduous work put in by you, though you did not let anyone see it- so thank you Anita, Avi, Sachin, Jitu, Neenad and Captain Sir. A Big thank You.